This is my Squidly, He is a squid and he is happy. I used acrylic paint mixed with water to make a galaxy effect. I created him in the fall of 2012. 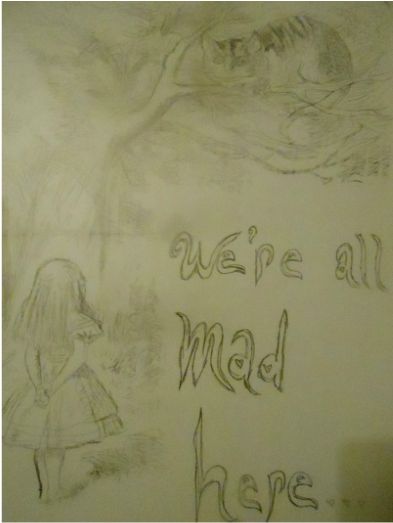 One of my sketches based off of all the songs i was listening to while drawing it, the piece was supposed to be a drawing with lyrics around it, but the lyrics took over. 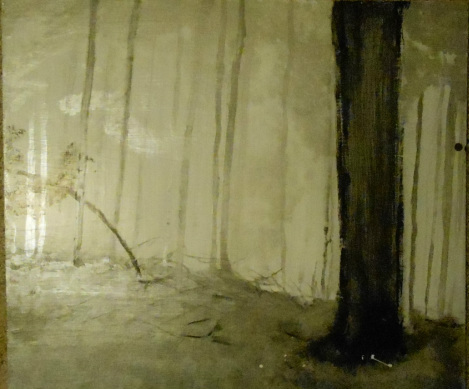 Another sketch from spring 2013. 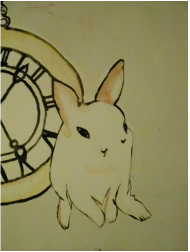 I am a really big fan of Alice in wonderland, So i decided to paint the white rabbit that Alice follows down the rabbit hole It didn't turn out the way I wished It would've but oh well. 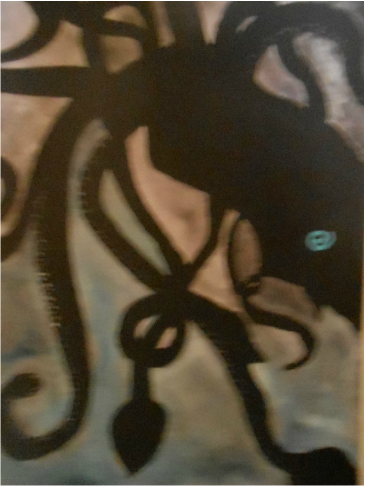 I really wish he was wearing a tux, but anywho, I painted this in January 2013. Be the one to guide me. 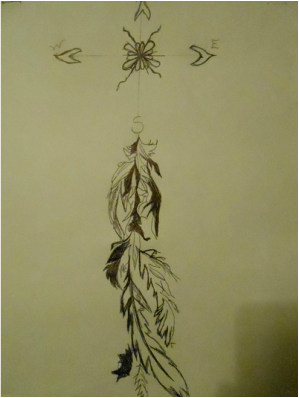 This is a sketch i did, its one of my favorites, Its an arrow compass with feathers at the bottom. March 2013. 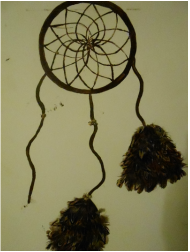 This is my unfinished project, its a dream catcher that I never finished, the feathers were reallyy hard to hot glue on and it took a long time and I just gave up. February- March 2013. 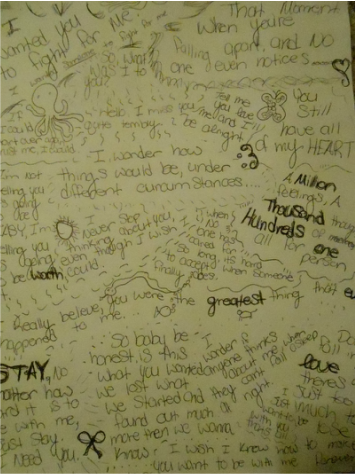 I am a very large fan of Octopus's, as you could probably tell already. 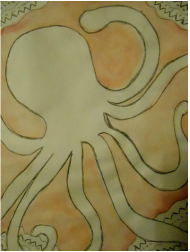 This is my watercolor experiment! February 2013.